Coffee News® of Pearl River & Jackson is currently serving the areas listed below. If you have a business in any of these areas, place your ad in Coffee News® to be seen as the industry leader! Pricing is affordable and depends on how many areas you want to be in. 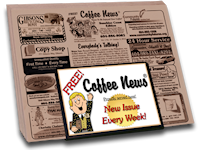 Coffee News® is local advertising for local businesses. Currently we server the following areas.